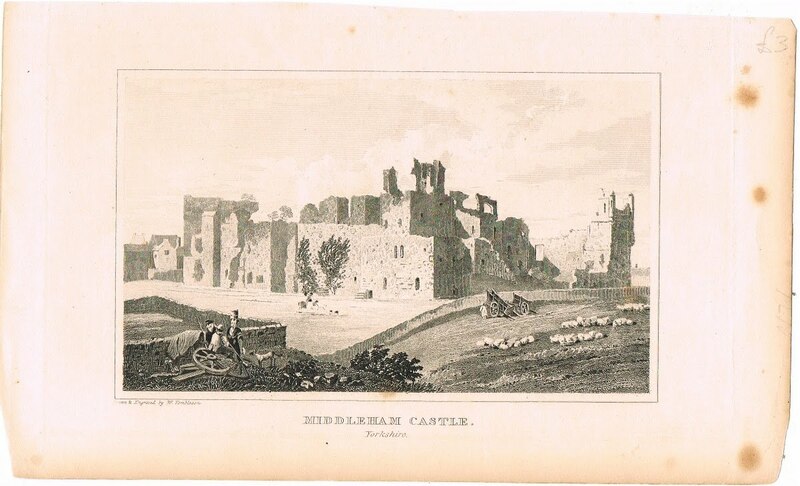 An old print of Middleham Castle. A small part of my recent splurge. The original castle at Middleham, built by Alan Rufus, a nephew of the Conqueror, was constructed on William’s Hill, a little to the southwest of the current castle site. It was abandoned in the 12th century and a new castle was built on lower ground where there was access to a more reliable water supply. It was a massive, square castle with walls up to 12 feet thick. 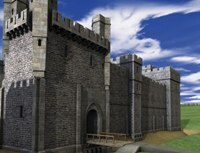 Succeeding lords of Middleham extended the castle, adding floors, moving gates and extending towers. When intact, it must have been an imposing structure. Middleham was not only a home to the Nevills, and later the duke and duchess of Gloucester, but a potent symbol of the power of its lord. Under the Tudors it was left to slowly fall into disrepair. Succeeding owners were unable to arrest its decline. 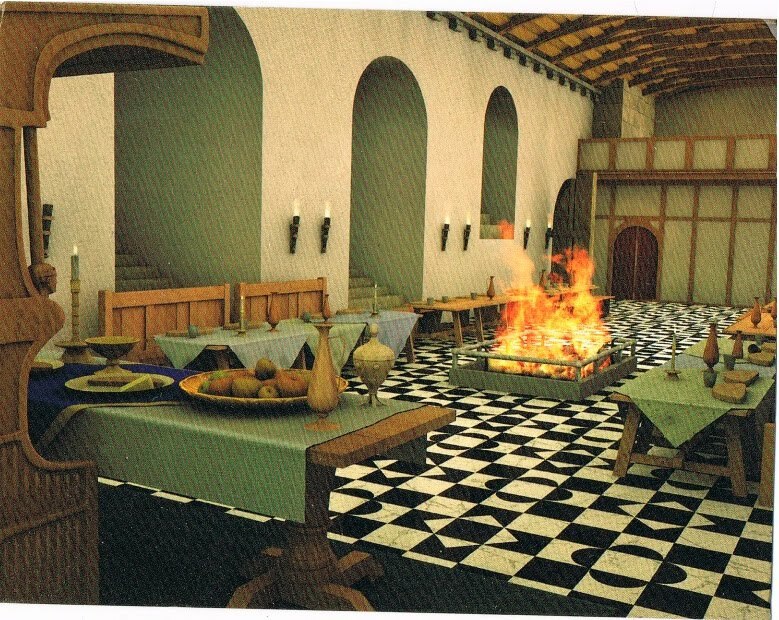 Reconstruction of great hall from a postcard that accompanied the dvd. Now owned by English Heritage, the castle ruins are open to the public. The earl of Salisbury would weep, I think, to see it and Warwick would cast around for some heads to kick. Enormous thanks to Su_H for pointing me to the Middleham dvd.